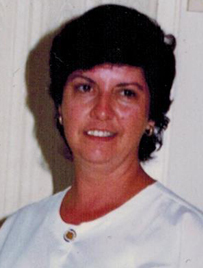 Mary Frances "Frankie" Gallagher, 78 of Fort Lauderdale, Fla., passed peacefully at home in Fort Lauderdale, surrounded by her family Dec. 24, 2018. Born Jan. 28, 1940, in Scranton, she was the daughter of the late Francis M. and Mary E. Jackson (Laurito). She was married in Scranton to James J. Gallagher. A graduate of South Catholic High School in 1957, she went on to earning her LPN while attending Scranton State Hospital School for Nursing. Her nursing career was extensive and focused mainly on geriatric care. She remained in the geriatric field until retirement. A devoted nurse while at the Jewish Home in Scranton and finishing her career in administration at Manor Oaks in Fort Lauderdale. She exemplified what it means to care for others, even caring for families privately after retirement in their homes. Dedication and love was felt by everyone who came to know her. Mary was preceded in death by her father and mother; her sister, Donna Jackson, all of Scranton, Pa.; and grandson, Scott Andrews, of Jessup, Pa. Surviving family include her husband, James J. Gallagher, of Fort Lauderdale; sons, Francis M., of Moosic, Pa.; and John P. Andrews, of Baton Rouge, La. ; daughters, Colleen, of Fort Lauderdale; Christine, of Gulfport, Fla.; and Jamie Gallagher, of Deltona, Fla.; brother, Ronald Jackson, of Nalcrest, Fla.; as well as many grandchildren and great-grandchildren whom she loved with all her heart. A limb has fallen from our family tree that says grieve not for me. Remember the best times, the laughter, the song, the good life i lived when i was strong. I loved with all i had, now it's my time to go. Celebrate the memories of me and how i loved you so. A private family service will be held at the Italian American Cemetery in Scranton. Friends are welcome to come celebrate her life with the family at the American Legion, 2929 Birney Ave. in the Minooka section of Scranton on Saturday, April 6 at 1 p.m. Arrangements, Neil W. Regan Funeral Home Inc., 1900 Pittston Ave., Scranton, PA 18505. To send online condolences, visit the funeral home website.